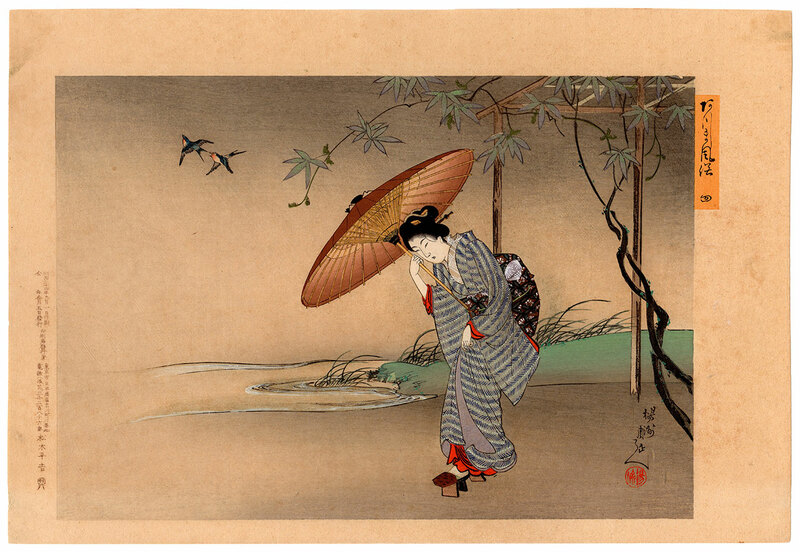 Elegant polychrome woodblock print depicting a young woman caught by surprise by a spring rain while walking near a pergola on the banks of a body of water overflown by two swallows. The work is taken from the series "The Eastern Customs" (あずま風俗) made in 1901 by the famous artist Toyohara Chikanobu (豊原周延). 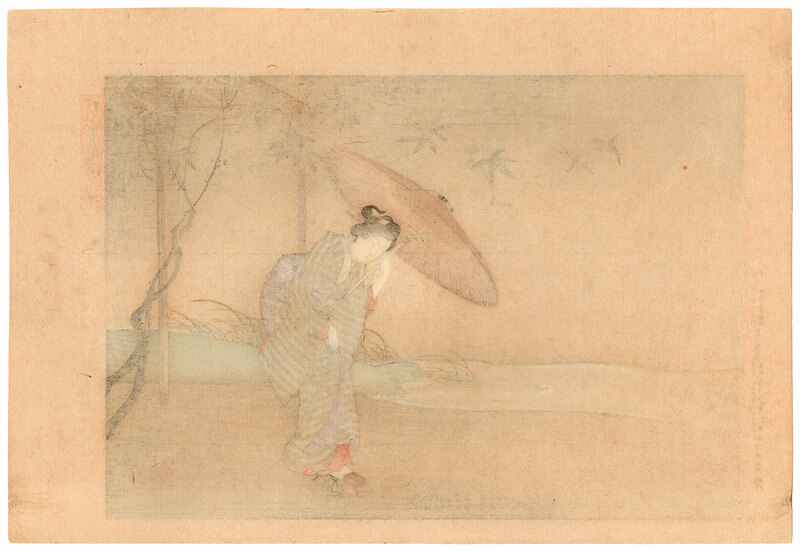 Toyohara Chikanobu (1838 - 1912), better known to his contemporaries under the pseudonym Yoshu Chikanobu (楊洲周延), was a very prolific artist of the Meiji Period (明治時代). 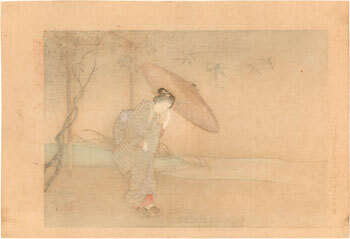 His artistic production, which captured in an exemplary way the transition then in progress between the era of the samurai and that of the new Japan that was emerging on the Western model, included a great variety of subjects among which the bijin (美人) beauties who gave him a lot of popularity. The print on Japanese washi paper (和紙), edited by the publisher Matsuki Heikichi (松木平吉) owner of Daikokuya (大黒屋), is in very good general condition.